Barry had been with Rangers, Inverness Caledonian Thistle and Forfar Athletic on loan before he joined United for an undisclosed fee. 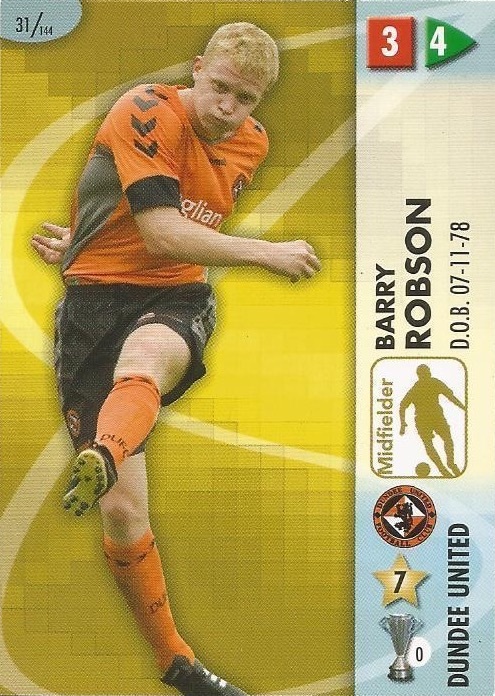 Over the next four years, Barry was a regular in the side and in May 2005, he collected a runners-up medal in the Scottish Cup final. At the start of the next season he was installed as Club captain. He was top scorer for United in 2006-07 but half way through in the next campaign, he moved to Celtic for a reported £1.25m. Barry was born on this date in Inverurie. Hibs attacked right from the kick-off and O’Connor had his shot saved in the first minute. 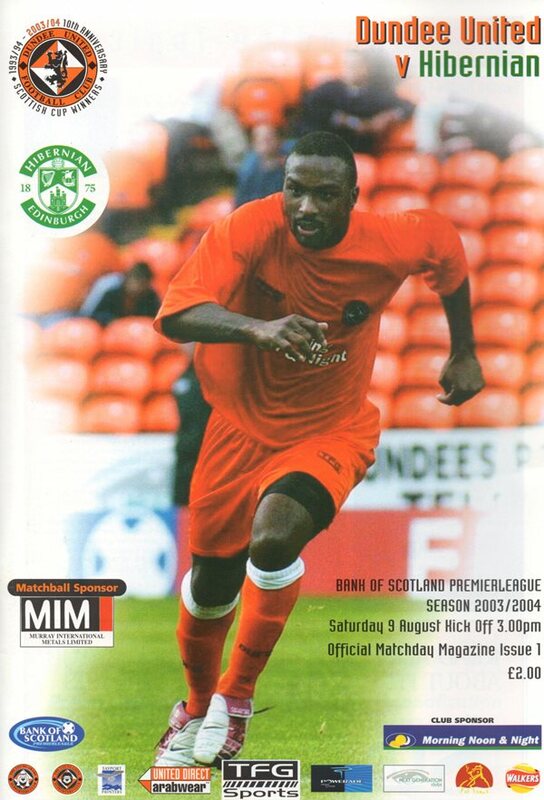 United’s first shot on target came from Dodds who had a good effort saved, but it was Hibs who took the lead in fourteen minutes when Brown hit a fierce drive from thirty yards to score. Despite some pressure from the home side, United equalised through McLaren with just short of half an hour played. He pounced on a slack clearance by Doumbe to fire into the net from close range.